We demand more from our kitchen than any other room in the house. Kitchen finishes must be hard wearing, functional, easy to clean yet beautiful enough to entertain company. Even though the decorative look of a kitchen has changed, the performance demands have not! 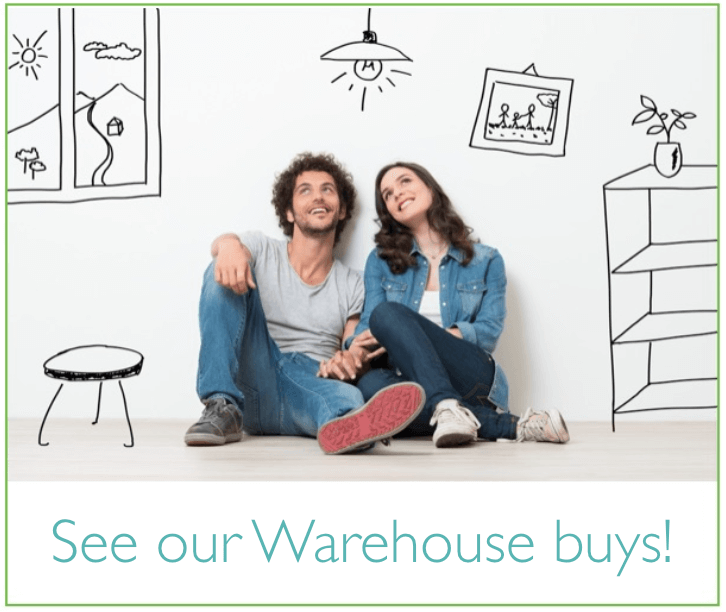 That’s why CorkWood, TORLYS latest innovation in cork flooring, delivers on all counts – the beauty of wood, the durability of laminate and the wonderful comfort of cork! CorkWood has the grain character of wood in a wide colour range, making it a perfect match up for almost any cabinet. Here is a selection of beautiful kitchens with suggestions for high performance CorkWood flooring, paint combinations and decorative detail to make the most of your kitchen. If you are about to start a kitchen renovation, select the kitchen that suits your lifestyle and your design preference. Hopefully our suggestions will inspire and get your reno pointed in the right direction. Tall, dark and handsome may not be a common phrase used to describe a kitchen but in this case it works! 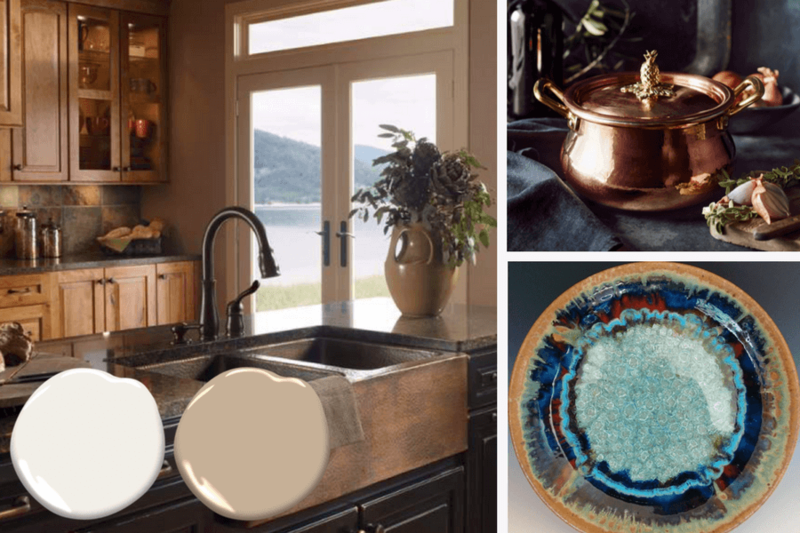 The cabinet tones are rich, the granite is dramatic and the hammered copper farm sink is perfect. This design can extend from a traditional dining or living space yet still house the functional side of a kitchen. Two CorkWood styles have been selected as possible flooring options. CorkWood Designer, Briarwood Walnut maintains the rich deep tones of the island cabinet and CorkWood Elite, Windemere Oak compliments the warm honey of the wall cabinets. Both flooring options work, it is just personal preference. 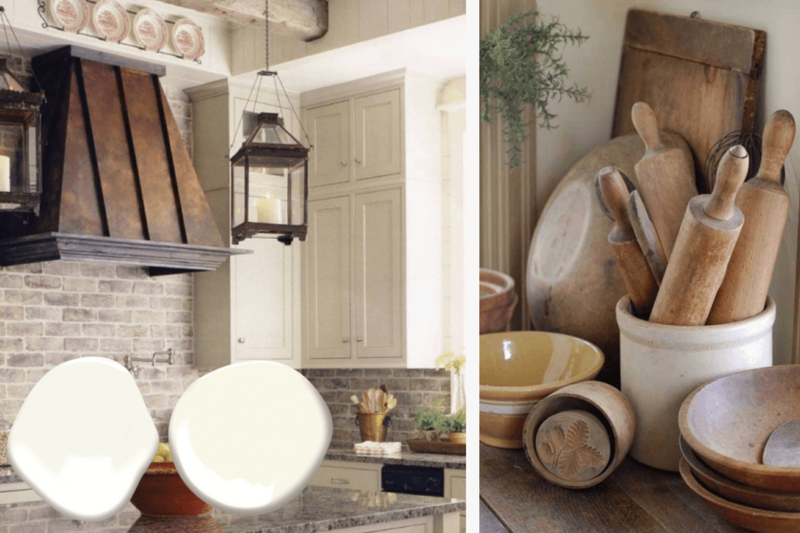 Rich neutral paint tones like AF-876 Alabaster and AF-130 Truffle from Benjamin Moore maintain the warmth of the room. Oiled bronze hardware, gleaming copper kitchen ware paired with jewel tone pottery add an elegant vintage quality to the space. Over the last number of years, gray has become one then most popular kitchen neutrals. Gray can add a vintage touch to a country kitchen but also works in a sleek modern space. Our featured kitchen pairs gray with shades of cream and uses texture as a key design element. Rough hewn beams, reclaimed brick backsplash and stone countertops come together to create warmth and charm. The texture and grain patterns of CorkWood flooring make it a perfect choice for this kitchen. Options include CorkWood Designer Port Royal Walnut for a classic look, or to emphasize the vintage quality CorkWood Designer Fairwinds Oak is a great complement. Both are great choices. 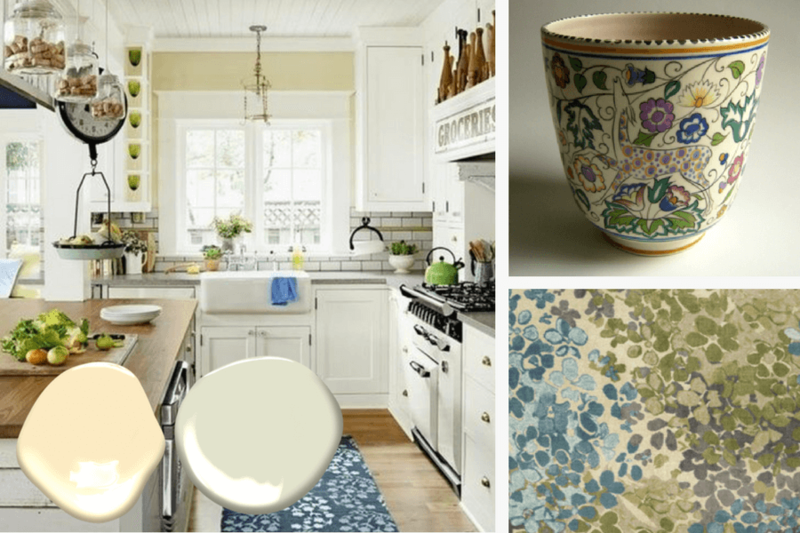 For paint , layers of cream are better than one, try trim with 2145-7 Cotton Balls with walls of Benjamin Moore’s AF-20 Mascarpone and the result will add more depth and character to the kitchen. Finish off the décor with vintage crockery, glass jars and wooden kitchen tools, you can find them at most garage sales or antique markets. The soft comfort and rustic design options of CorkWood flooring make it an ideal choice. For a natural wood tone, CorkWood Designer Morningside Oak or for a grey vintage feel Corkwood Designer’s Eaglecrest Oak is perfect. To soften all of the white in the room opt for a pastel wall tone, either a buttery yellow like Benjamin Moore’s 2155-60 Cream Yellow or a pale green like Benjamin Moore’s 520 Spring Bud. A brightly coloured accent rug or pottery piece will add a dash of personality and your own unique charm.